The reason that most transparent filaments produce translucent prints isn’t necessarily due to being misled by the company as to the functionality of a filament but often because of 3D printer settings. 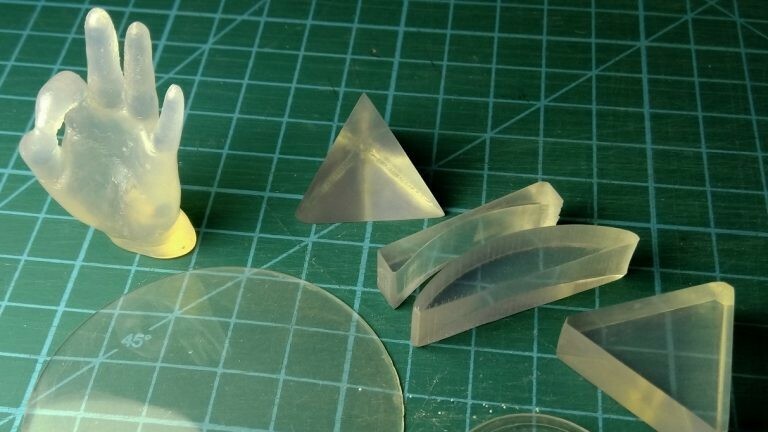 Gluck, a maker and author for website Fennec Labs, has been working on how to create transparent parts since buying a 3D printer. In a recent blog post, it’s explained that translucency and transparency are different due to a material’s tendency to diffuse light. When printing with normal settings, small bubbles are left inside the print which acts as a lens and scatters light. Therefore, the resulting prints are translucent. But, Gluck points out that plastic is “inherently transparent” and bubbles are the “only thing” stopping us from creating truly clear prints. The next step was to find a print setting to create parts which are truly transparent. Printing Temperature: 255 °C (on the highest end of the recommended range, using Prusa’s ABS). Adjust for PLA accordingly. Gluck also explains that it’s essential to ensure the hotend is clean. This is because leftover material can damage a print’s “purity”. Next, after a first layer is complete, ensure the hotend is close to the build plate but not close enough to scratch it. An over-extrusion will print a “plano-convex spherical lens” and the hotend will scrape the last layer, causing a chunk of excess material. But, Gluck explains that this can easily be removed with a knife after printing is complete. Further post-processing steps include turning the rough printed surface into a smooth one. Gluck recommends using sandpaper ranging from 600 grit to 4000. All of the prints produced by Gluck are “flat-bottomed” to avoid having to remove supports and to make sanding easier. The resulting lenses are “quite pleasing” if not good enough for imaging. However, Gluck had some fun with the lenses, using them to focus light and developed lasers using a plano-convex cylindrical lens and a mount. The lasers are then held parallel to each other and the beams are focused into one spot. Gluck came up with a second unique idea which was to place Mario and then a snowflake shape into a transparent cube, producing a laser-engraved result which isn’t perfect but works surprisingly well and looks cool.